Is building up a loyalty with present and future clients a big problem for your law firm? Are you afraid your law firm won’t stand out amongst the competitors? Have you ever wondered what does a law firm needs in addition to marketing to have a high rank amongst all the others? The answer lies in building up an online reputation. In today’s world of intense marketing and competition, it is not just about gaining online views or conducting elaborate marketing campaigns, public perception is important and influences a lot in the decision-making process. 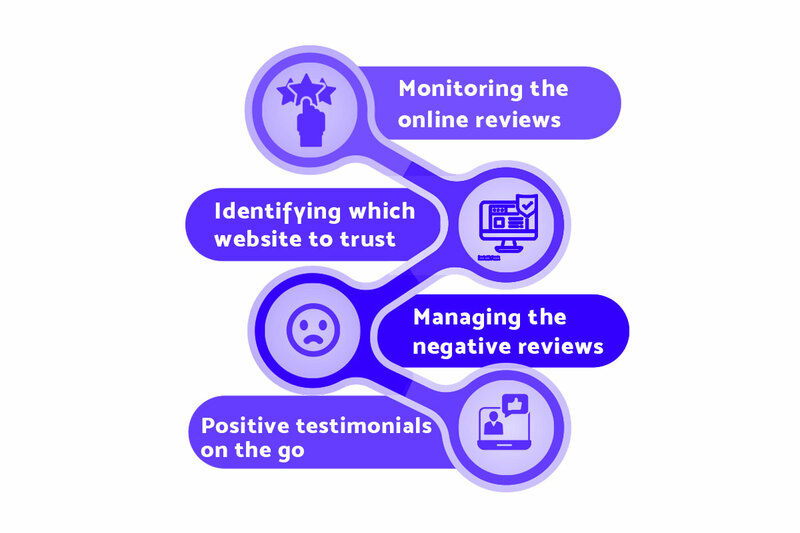 For example, online reviews which most of the users tend to ignore or are basically treated as invisible often gets involved in your online reputation build-up. Online reviews significantly impact on public perception. One might argue that the job of developing a reputable outlook is mostly established through marketing. Not completely true it is actually, otherwise the jobs of Public relations (PR) and online reputation management (ORM) would be severely underappreciated. 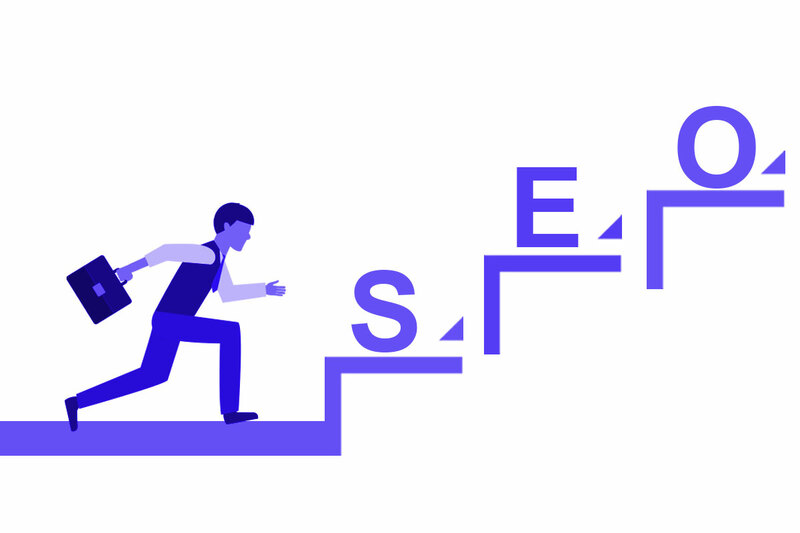 The job of an ORM Agency s previously dictated by PR is now an entity of its own and is responsible for influencing and enhancing the public outlook or opinions by deliberate focusing of the contents and brands and specifically tackling negative search results and monitoring customer’s review. In marketing, the concept of brand creation and driving sales is followed. However, in reputation management, it is all about upholding the brand loyalty and standing out as the irrefutable king is all that matters. The matters and cases that are handled by the ORM agencies tend to be downright complicated and often need interventions from every level of the firms’ hierarchy. However, reputation needs marketing s its driver to go hand in hand. The impact of digitalization on marketing cannot be ignored, in fact, it’s mostly because of the online tools law firms nowadays are able to influence their outlook and improve public perception often times. With most consumers in touch with internet and mobile networking, it is understandable that traditional means and mediums are now obsolete and have no relevance in modern google times. In fact, data from recent 2017 surveys show that web interface and social media engagement has had a staggering influence over various law firms’ business scenes and is mostly accompanied by a positive outlook. Reputation is an age-old concept since the times of Greek mythology. With multiple consequences your law firm might have to bear from a single decision to the onslaught of competitors and budding acrimony within, it is understandable with reputation management, every aspect of your law profession might be at stake. Anything put up on a website is readily available for criticism and opinions that will shape the intangible property of your reputation. In an economy where brand equity, goodwill, and loyalty are major players for running the business, it is especially important that the Lawyers Online Reputation in and outside the firm be handled delicately. An ORM Agency has a well-equipped team of managers, analysts, and computational wizards with their special programs which monitor such aspects. They offer consultation and readily screen the web to curb any source of negative publicity. It only seems to be appealing in every sense for any emerging or well-established law firm to invest in ORM and be in touch with public perception with better efficiency and transparency. With the rise in digitalization and amidst the debate of net liberalization and laws, unsolicited, immoral methods are often used to destroy public image via the internet which sadly has become too relevant and is happening too often. Anonymous paid reviewers, third party syndicates involved in hacking and leaking confidential information, infiltrating bots and malware are few of the methods to name. All of this is being done to establish dominance over the market and in people’s mind. Law firms can get terribly competitive for their own good with scenarios straight out of films depicting corporate and law scandals might even come true. It is, therefore, a necessity, having an ORM implemented for your law firm for having your back, as it is a sure shot way of boosting your reputation as well as sustaining it, for the goodwill of both your firm and potential customers as well. With well-subjected matter on why ORM matters, it is now time for any law firm, such as yours, to decide and take pre-emptive steps for them in order to manage their public perception with credibility and finesse. Fortifying Lawyers Online Reputation in your law firm should begin with fortification of confidential information and strengthening the security features. With dark web deeply embedded in the deepest darkest crevices of the internet, it is easier to turn a fraction of any intimate information into the means of generating a public distrust and a method to compromise your entire repo. Despite the nature of the data and information enclosed, there is never ever a good time to get everything locked like a wired safely for safeguarding the most important documents. It involves the following basic steps that can be administered with the help of an agency or with the help of your firm’s management and the reputation management firm in conjunction. Data encryption at every stage of file creation or transfer, within all the systems, is a must. Restraining access to sensitive information and confidential files. Only when in dire situations or need should everyone be able to access those files. Safe and secure methods for printing, safeguarding institution’s network with laws and policy that should restrict unnecessary usage of internet, with strong security software in place. Using remote-encrypted data for sharing in cloud computing with high-grade technologies to monitor the status and to take necessary steps in case anything undesirable happens. Proactive communications with clients and employees, both present and future about your security measures and your reassurance for a better outcome in the future. These are fundamentally necessary steps which need to be taken to safeguard your law firms’ intellectual assets which can be damning in the severity of various situations. As many as 400 attorneys in the USA have reported a data breach in every 1 in 4 law firms as per the statistics recorded with more than 80% firms facing a severe hacking issue, even without their own knowledge. It is this extensive measure that would help your firm in securing a reputable position first amongst all the clients, employees and even help generate new ones. The sense of security and alleviation from the vulnerable facts and documentation of anything related to your firm and your clients should be pronounced enough. This would lead to a positive public outlook first- and foremost and the reputation is established gradually with a loyalty, and this would lead to a generation of profitable revenues over time with new clients every now and then. Keeping a track on the online users’ perception of your lawyers and law firms is rewarding. It can be a compliment, a query, a nasty criticism or anything that should never go unnoticed. Creating google alerts for such threads that will send an immediate notification with a mere mention of your firm’s name is a helpful tool. Often times many false reviewing sites would be cited by any reviewer which shows no credibility of any sorts. These sites may be filled with false information, or are unpopular or can be biased as well. Therefore it’s best to track opinions from trustworthy sites such as LinkedIn, Google reviews, yellow pages etc. which are credible and believable. Often time’s potential clients take help of these sites to determine a trustworthy firm, which is the goal of managing online reputation. With recent statistics of LinkedIn traffic analysis released, it heavily leads to the conclusion that lawyers need LinkedIn as an important tool to generate their repo and build up reviews hat has a seemingly greater impact upon increasing their client base. Hoping your law firm is satisfactory and is not receiving any criticism or objections, but in case if you do, think and act carefully, as to how to respond. Your response to criticism should be constructive, well thought out, balanced with empathy and logic. Do not tend to linger around subjective or too specific doubts that might lead to spilling a confidential information. The response should be loaded with a positive outlook that can reassure any web surfer surfing through your page, eventually bring your repo ranks up. Augmenting positive outlooks and reviews might sound clichéd, but doing it on your firm’s website might prove to be highly beneficial. It is, after all, a real life review that compliments you and is the reason for developing a reputation amongst the clients and the web surfers that might lead to new clients. Positive reviews on social media websites, a testimonial blog on the website itself can serve the purpose of retaining and providing services altogether. With such thorough steps taken from your end, it is now time for the ORM Agency to show its capability and reinforce the essence of reputation management that should be the final nail in the coffin. A rep management will work in hand-to-hand with the firm’s marketing agency and PR to make sure the respect generated is equally spread and translates into monetary profits and loyalty with new clients. Make your website fast and mobile compatible. Nobody wants a website that’s too slow to load on the browser and definitely one which cannot be opened on a mobile browser. With a steady increase in mobile users, it is logical only to design a website that can be mobile friendly, optimized one at that. 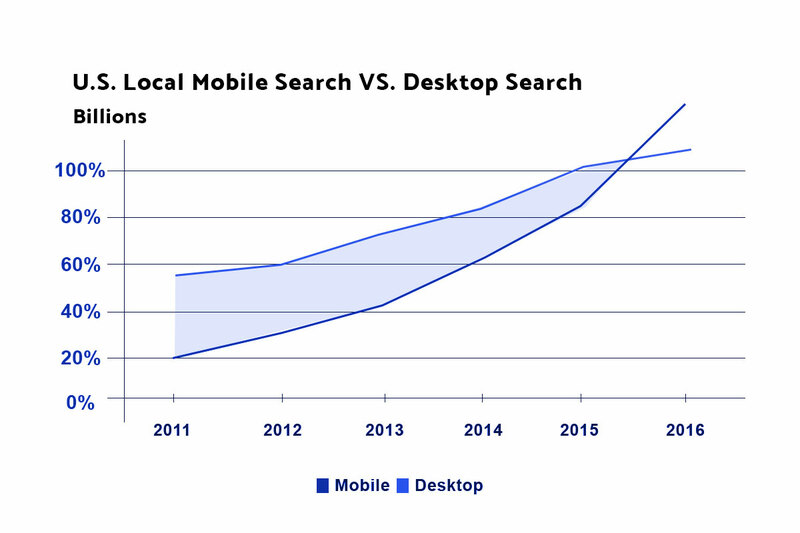 From the data shown above more than 50% of the web searched are carried out through mobile only. One of the reasons a potential customer would favor your law firm over other is because of this compatibility, which is only optimized with layers of web designing that can be done. An ease of access is the first step of earning positive reviews from the consumers. High-quality content is a must. With high quality, it doesn’t necessarily mean complicated or too much of show-off. It merely means to relevant content which is relatable and speaks to the volume of web surfers just surfing through your website. This involves a lot of screening and patience to curate and selects the data, the statistics, and facts that you want to showcase in your firm’s website. With 1/3rd of the clients using online resources as a way to search for lawyers, it is important to revamp the old content and the overall design of the new content is wholesome enough. 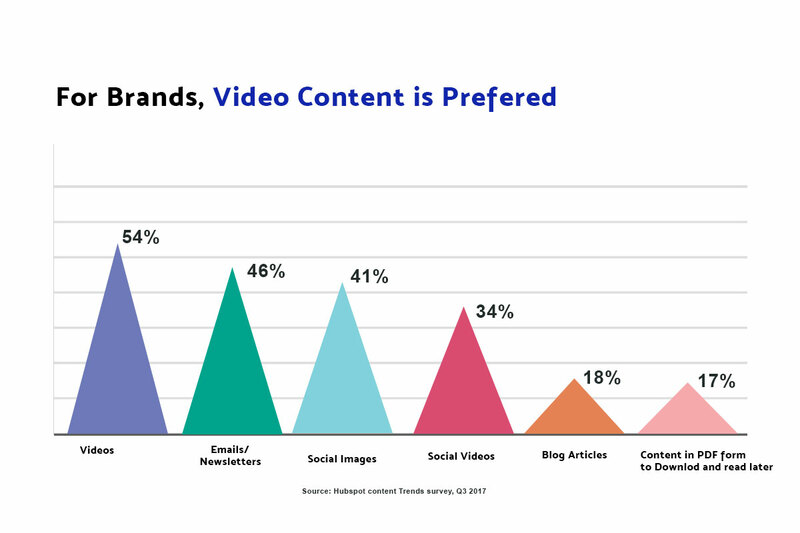 For example with the statistics given below, it can be clearly observed that video content is the most favored content after all. It further instills the belief that law firms should use video content as a part of their promotional and reputational management for building client loyalty foundation. With more than 60% web users preferring videos over content reading it is therefore imperative to optimize the content strategy and formulate as per the need. Using Social media is one of the best ways to initiate the groundworks of repo building. With an increase in social media engagement, there has been a noted rise in clients’ number and also the positive outlook that has been generated, partly owing to the fact that direct client communications were established, or the users were prompted to spread the word further spreading the message across the net to different people. The above data simply shows the effect social media has over the shared content by the law firms that got spread so easily over the internet. This is a significant supplement to online reputation boost which also accompanies the marketing on its back. Improving search engine rankings has always been a primary aim for SEO. The most reputable firms or association are often the ones found in the first page of Google or Bing search itself. It is because their rep agencies along with the marketing agency have optimized their web presence such that the Lawyers Online Reputation is elevated by itself from the organic search on the browser itself. This involves developing a call to action (CTA) on your firm’s website itself, managing content, developing keywords that can improve search engine rankings, adding enriched descriptions and using organic, original elements for your firm’s online web presence. However, it is not a DIY thing and often involves engaging a professional SEO service along with a repo agency is more helpful. Their venture would essentially amalgamate your SEO rankings with improvement in public outlook with the web presence. The chart below shows the effect of SEO rankings, with an increase in organic website visits for a particular firm. With more than 500% increase in lawyer visits, it is clearly visible how much SEO is powerful when it comes to boosting the reputation of a law firm with its pseudo promotional tactics. 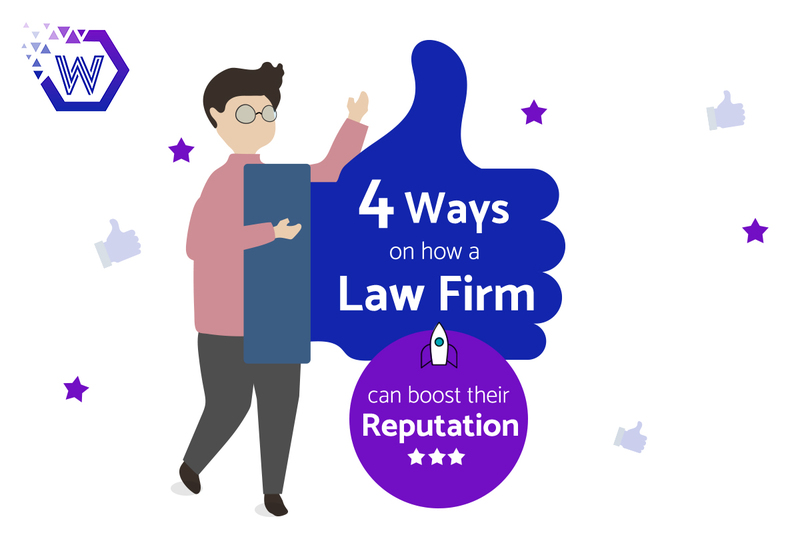 Following these four tips, your law firm can easily formulate your way through to build up its reputation and to sustain it long enough with guaranteed results. One can easily get confused between marketing and reputation management. In essence, they do follow the same path of agenda but the outcomes generated are different with reputation management aiming at public perception and overall outlook of your law firm which dictates the client side loyalty and the goodwill and recommendation that is garnered. A good strategy and a good investment in a compatible repo firm will always help in yielding a good reputation, for lifelong.